Every SEAT Mii is a fashion statement. However, the new Mii by MANGO Limited Edition shows particularly individual style with its unique accessories – and just 750 of them will go on sale across Europe. They are recognisable at first sight from the exclusive three-coat paintwork in “Oryx white”, with the door mirrors and wheels finished in a powerful, deep shade of red called “Velvet”. Exterior details will be matching in some interior details, like the steering wheel, air vents and instrument panel. 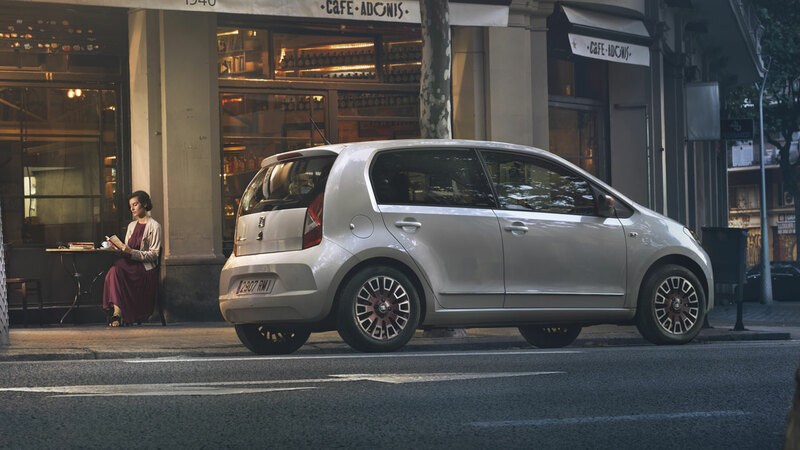 The sporty character of the Mii is especially enhanced in the likewise new SEAT Mii FR Line. This new version is recognisable on the outside through its exclusive 16-inch alloy wheels, Atom Grey door mirrors, exclusive trim strips and, naturally, the FR logo in the grille. Setting the FR Line apart are its sporty suspension tuning, plus a sporty black interior, featuring high-gloss and red accents as well as unique sports seats with piping and FR logo and leather steering wheel with red contrasting stitching. 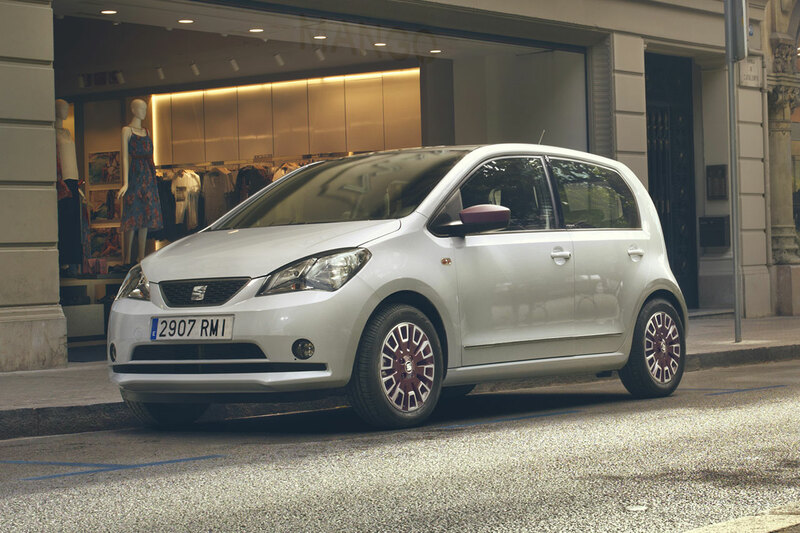 The SEAT Mii is the perfect car for today’s urban lifestyle. 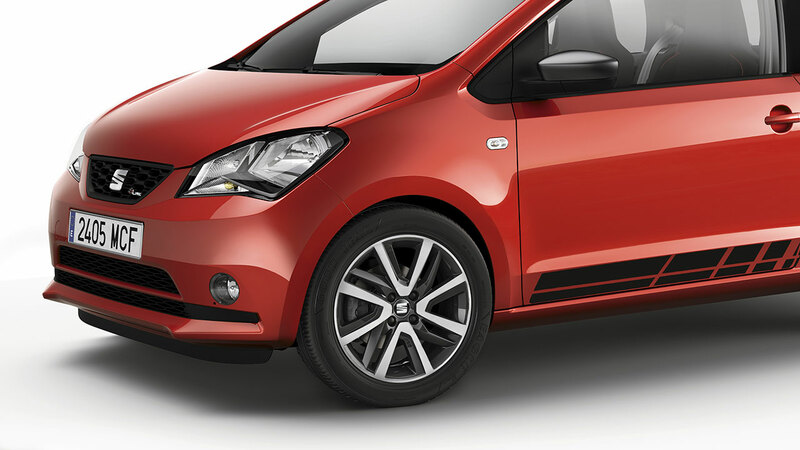 This youthful and sporty city car makes life easier – with a high level of utility, exceptional driving fun, excellent efficiency and innovative technology. As a true SEAT, the Mii combines sporty and youthful design with the best craftsmanship and wide-ranging individualisation options. And this kind of driving fun is highly affordable, too, thanks to great value-for-money and low running costs – classic SEAT. 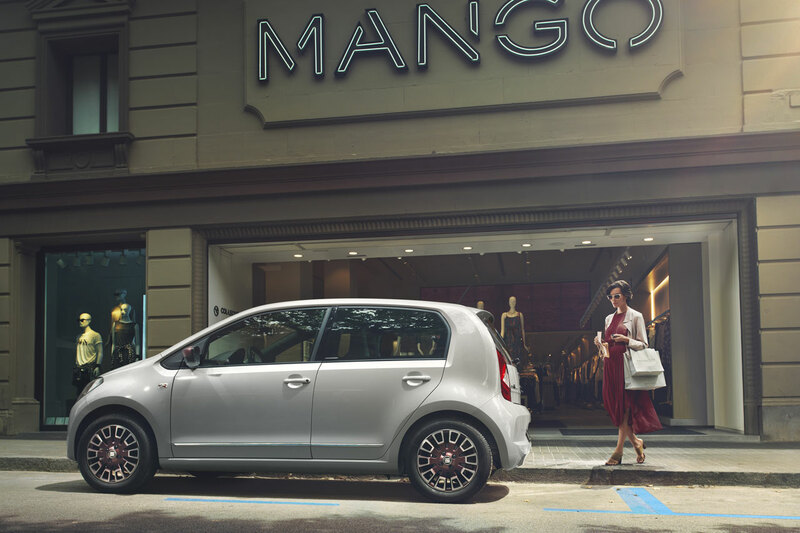 The new Limited Edition Mii by MANGO further accentuates these characteristics – and turns the pan-European city car into a design statement. Created in co-operation with Spanish fashion label MANGO, this is a car with a very special identity. 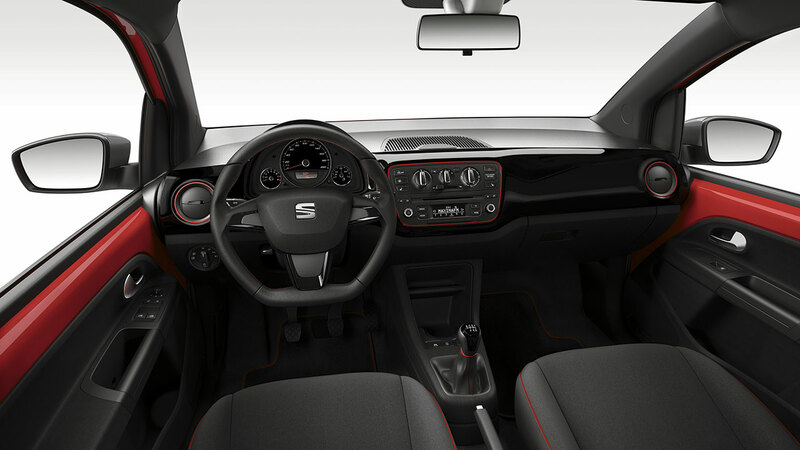 Both companies condensed their ideas and fused the special driving pleasure and modern technologies of the SEAT with MANGO’s innovative fashion design. The package of accessories that comes with every Mii by MANGO Limited Edition was created by SEAT Design and the fashion experts of the MANGO fashion label and is absolutely unique. In keeping with the character of the Mii, it is a combination of refined style and state-of-the-art technology. Because the Limited Edition will be delivered during the upcoming autumn and winter seasons, the package includes a super-fine wool scarf – in the colour “Velvet”, of course. The exclusive MANGO key chain bears the vehicle’s individual special-edition number. A clutch bag likewise sports the MANGO logo. The whole set is packaged in an elegant, velvet-coloured box. As a high-tech extra, there is also a wireless in-car charging box for mobile phones – simply lay the smartphone on the charging device for the battery to charge. The exclusive look of the Limited Edition is completed by a comprehensive package of equipment that includes LED daytime running lights, the chrome pack and air conditioning. Standard appointments also include a practical hook for securing handbags, a mirror in the driver’s sun visor and exclusively designed foot mats, door entry trim and keyring. The Mii by MANGO is offered with three-cylinder engines with power outputs ranging from 60 to 75 PS. They guarantee light-footed agility and exemplary efficiency – enhanced by systematic lightweight design and a kerb weight of just 854 kilograms. With the entry-level engine, the Mii Ecomotive has a CO2 figure of just 95 grams per kilometre. One of the Mii’s particular strengths is its state-of-the-art technologies. The Safety Assist emergency braking assistant with its laser sensor brings a whole new dimension to safety in city traffic, while the SEAT Portable System, with its 5-inch screen, brings together the worlds of entertainment, navigation, phone and vehicle functions in a way that is completely new in this class of vehicle. It puts the little SEAT in a pioneering role by making innovation affordable. The Mii’s exceptional safety level has been confirmed by the top five-star rating in the Euro NCAP crash tests.